Twenty-two-year-old policeman Herbert Schirmer would have a bizarre experience on December 3, 1967. While making his normal patrol rounds in Ashland, Nebraska, he saw what appeared to be red lights atop a large truck. He had checked locations along Highway 6, and just hit the intersection of two highways, 6 and 63, when he saw the red lights. He would get a closer look. As he moved on down Highway 63, he came to a stop, and shined his headlights on the red-lighted object. Soon he realized it was no truck. The red beaming lights were coming through what Schirmer described as "portholes." He could clearly see a disc-shaped, metallic UFO that was hovering about eight feet off the ground at a slight tilt.The polished, aluminum object had a type of catwalk around its circumference. He could also see what he thought were legs below the object. Then the object began to slowly ascend, making a siren kind of noise, and issuing a flame-like display from the underside. Sticking his head out the window, Sgt. Schirmer watched the UFO pass nearly overhead. Then suddenly it shot up and out of sight. Schirmer sped back to the police station, making a note of the time as 3:00 AM. This shocked him, because he knew he had been on patrol much longer than the 10 minutes the present time indicated. Schirmer made the following entry into his log book: "Saw a flying saucer at the junction of highways 6 and 63. Believe it or not!" Schirmer began to experience some physical problems right after his sighting. He suffered from headaches, felt ill, and had a red welt on his neck. The Condon Commission, located at the University of Colorado, and at the time, investigating UFO sightings, heard of Schirmer's sighting, and requested that he come to Boulder, Colorado. On February 13, 1968, Schirmer would undergo regressive hypnosis, administered by psychologist Dr. Leo Sprinkle of the University of Wyoming. Psychologist Dr. Leo Sprinkle: A link to Dr. Sprinkles interview below. The regression sessions would bring out many new details that Schirmer had suppressed. 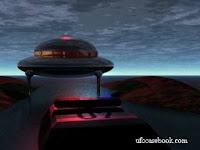 As he neared the UFO, the engine in his police patroller failed, and his radio went dead. Some type of white object emerged from the UFO, and communicated with him telepathically. This object kept Schirmer from drawing his firearm. 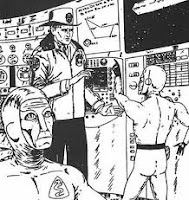 Other facts recalled by the patrolman were that the beings from the ship were friendly, they powered their UFO through the electric lines, and had a base of operation on the planet Venus. The Condon Committee concluded that: "Evaluation of psychological assessment tests, the lack of any evidence, and interviews with the patrolman, left project staff with no confidence that the trooper's reported UFO experience was physically real." Psychologist Dr. Sprinkle, however, felt that Schirmer "believed in the reality of the events he described." When Schirmer returned to his duties in Ashland, Police Chief Wlaskin resigned, and Shirmer was appointed as new chief. But because of ridicule from the citizens, and the UFO experience, he was not able to rightfully perform his duties, and resigned two months later. 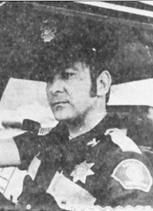 Someone had thrown dynamite into his patrol car, and his wife left him during this time. Looking for relief from his psychological problems, he would undergo more regressive hypnosis in June, 1968. Hypnotist Loring G. Williams conducted the sessions, which would reveal many more details of his encounter with the UFO. There would be two books written about his experiences, "Gods, Demons, and Space Chariots" and "Gods and Devils from Outer Space"by Eric Norman. It is very difficult to ascertain whether or not Schirmer's experience was real or imaginary.